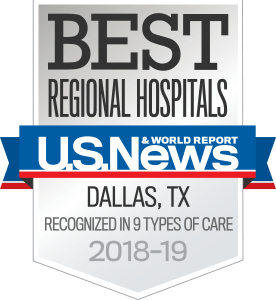 The William P. Clements Jr. University Hospital NICU relies on donor breast milk from the Mothers’ Milk Bank of North Texas to give our littlest patients the best start possible. Centuries ago, a mom would call a wet nurse when she was unable to breastfeed her baby. This practice fell away with the emergence of baby formula. But as we have learned more about the many benefits of breastfeeding, the demand for donated breast milk has increased. Breast milk is especially beneficial for premature or critically ill infants. While some moms have no problem breastfeeding or pumping breast milk, others struggle. Moms of preemies often won’t produce breast milk right away. Having a baby in the neonatal intensive care unit (NICU) is stressful, and that stress can inhibit milk production. Some moms have their own health problems that prevent breastfeeding. In times like these, the William P. Clements Jr. University Hospital NICU relies on donor breast milk to give our littlest patients the best start possible. Between January and June 2016, we used 1,000 bottles of donated breast milk. Each bottle contains 100 milliliters. When I bring up the topic of donor breast milk, some parents are uncertain. It can seem a little odd, but once we explain the benefits and the safety guidelines we follow, most parents are grateful for the option. Let’s take a look at how we use donor breast milk in our NICU, the safety precautions we take, what you should know about getting donor breast milk off the internet, and how to become a donor yourself. Who is eligible for donor breast milk? Many studies have shown that premature babies – especially those born earlier than 30 weeks – who are fed breast milk have better outcomes. 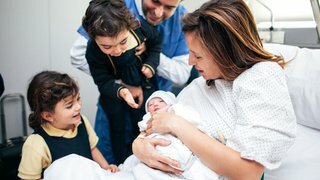 We see less risk of infection while they’re in the hospital and fewer incidents of necrotizing enterocolitis (NEC), which can be a devastating intestinal disease. Near- or full-term babies who are critically ill or have specific problems with their intestines. 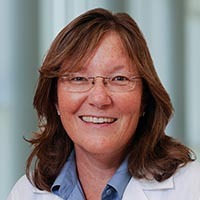 Near- or full-term babies whose moms want to exclusively breastfeed and who aren’t yet producing sufficient quantities of colostrum or breast milk – or whose moms are too sick to provide breast milk. Prescriptions may be written for donor breast milk in some outpatient cases. This could include if your baby’s intestines have been surgically reduced, known as short bowel syndrome. We also may take into account extreme intolerance issues. This isn’t just for spitting up or colic, but for babies who need a very special formula to survive. When preterm babies reach 34 weeks, we usually start to see the light at the end of the tunnel for when they’ll go home. We want babies to go home on the food they’ll get for the foreseeable future, so we start to transition them from donor breast milk to formula. What precautions are taken to ensure our donor breast milk is safe? Donors are screened through a phone interview, questionnaire, and blood testing. The breast milk is pasteurized, meaning it is heated to 62.5 degrees Celsius, which is hot enough to kill most bacteria and viruses. 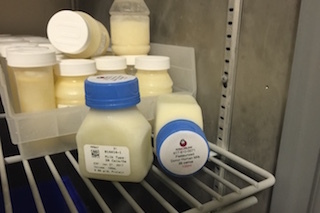 Pasteurization can mildly affect some of the immunological properties of the breast milk, but the majority of the properties we want stay intact. A bacterial culture is completed to make sure nothing got through the pasteurization process. The milk is analyzed for its caloric and protein value so it can be used for customized orders. The milk is frozen and stored at -20 degrees Celsius. When we get breast milk from the bank, it has a barcode that allows us to trace it back to its donor if necessary. However, there have been no documented cases of a baby being harmed by donor breast milk from an HMBANA milk bank. Parents often are surprised to learn that we fortify breast milk for preterm babies – both mom’s milk and donor milk. While breast milk is a perfect base, it doesn’t always have the nutritional properties needed for a preterm baby to grow. A mother’s milk changes as a baby ages. On average, moms who donate breast milk are five to six months postpartum. The milk of a preemie mom is very different from the milk of a full-term mom whose baby is now five months old. Preterm babies’ moms have milk that is more nutritionally dense, but it still may not be enough. That’s why we fortify it with powder made specifically for preterm babies. Demand from parents who can’t breastfeed for a variety of reasons has led to a surge of for-profit companies and milk-sharing communities popping up on the internet. We understand the frustration felt by mothers who struggle to breastfeed, but we urge you to be careful. It’s buyer beware when it comes to getting breast milk from an unregulated business or from someone you meet online. In 2010, the Food and Drug Administrationissued a recommendation that parents not acquire breast milk from individuals or through the internet. An April 2015 study in the journal Pediatrics revealed that of 102 samples of what was marketed as human milk purchased from online businesses, 10 percent contained cow’s milk, which can be dangerous for babies to drink. As for free milk-sharing groups, we know most people’s intentions are good. But you just can’t be sure what people are doing or what’s in the breast milk. 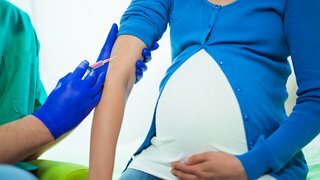 Most parents don’t have a laboratory in their house to check for infections. If you’re concerned that your baby is not getting adequate nutrition from your breast milk or formula, talk with your pediatrician. There is a message in society these days that breast milk is best and that’s it. But moms should not feel guilty if they can’t breastfeed or choose not to. Every parent wants to give their baby the best start in life, but breastfeeding isn’t the only way to do that. Are you an over-producer of breast milk? Is your kitchen freezer (and perhaps the one in the garage) overflowing with more breast milk than your baby will ever be able to drink? If you have more breast milk than your baby needs, donating it to a milk bank is a wonderful gift for preterm and critically ill babies. 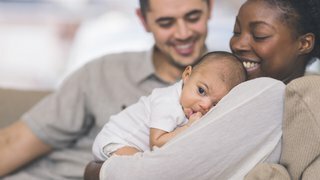 The Mothers’ Milk Bank of North Texas asks that donors be in good health, be willing to have blood tests to rule out infectious diseases, and commit to donating a minimum of 100 ounces of breast milk (although this doesn’t have to be all at one time). You will not be paid for your breast milk. Have or are at risk for HIV or have a partner who has or is at risk. Smoke or use illegal drugs. The Mothers’ Milk Bank asks mothers to wait six hours before pumping after drinking one alcoholic beverage or 12 hours after more than one. Take anything to enhance milk production, including fenugreek. Regularly use certain medications. Each milk bank has its own medication list. Check with your milk bank to see which medications it allows. Lived in the UK for three months or more from 1980-1996, or have spent more than five years in Europe. In 2015, almost 800 women became approved breast milk donors at The Mothers’ Milk Bank of North Texas. The approval process includes a phone call to review your health history and a release from your physician attesting to your current health. Once you’re approved, you’ll deliver or ship your frozen milk to the milk bank. They will provide storage containers and insulated boxes for shipping if you need them. They’ll also cover shipping expenses. Call the milk bank at 817-810-0071 to start the donor process. If you are concerned about your baby’s nutritional needs or want to know if your baby is eligible for donor breast milk, request an appointment online or call 214-645-8300.